Slonaker Personal Injury Lawyer Who Can I Sue for a Golf Cart Injury? Who Can I Sue for a Golf Cart Injury? If you have recently been hurt in a golf cart accident, you need to get help from an experienced lawyer. A golf cart injury attorney can tell you more about the rights that you maintain if you have been hurt due to another person’s negligence. 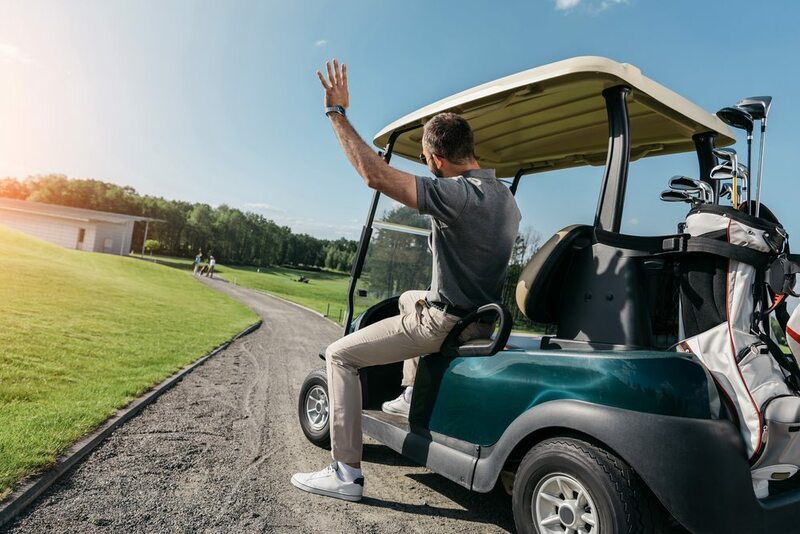 Golf cart accidents cause thousands of serious injuries, the vast majority of which occur when a driver or a passenger falls out of a moving vehicle or is hurt in a collision. In certain cases, involving negligence, these victims may be eligible for compensation for their pain and suffering, disability, and medical expenses. You have to take action quickly if you believe you have a legal case because of the statute of limitations. Your lawyer can help you if you need to pursue a full claim against a negligent party. Common golf cart injuries include crush injuries, bone fractures, abrasions, lacerations, skull fractures, organ damage, internal injuries, spinal cord injuries and brain injuries. A 2008 study found that 150,000 people were treated in emergency rooms for golf cart injuries over the course of 16 years. Half of these individuals had soft tissue injuries. When determining whether or not you have grounds to pursue a personal injury claim, you need to identify that someone else was negligent, meaning that they failed to do something that was reasonably expected to enhance your safety. Taking pictures of the accident scene, keeping track of your expense like your medical bills is important. Some of the factors that influence liability include intoxication, who owned the golf cart, where the accident happened, and who was driving at the time. You need to consult directly with an experienced personal injury lawyer if you suspect that you have grounds to file a golf cart injury lawsuit. The specifics of your case will dictate whether or not someone was negligent in the management of the golf cart or the operation of the golf cart on the day on which you were injured. Having someone to protect your rights and file a full and fair claim for compensation begins with the right lawyer.